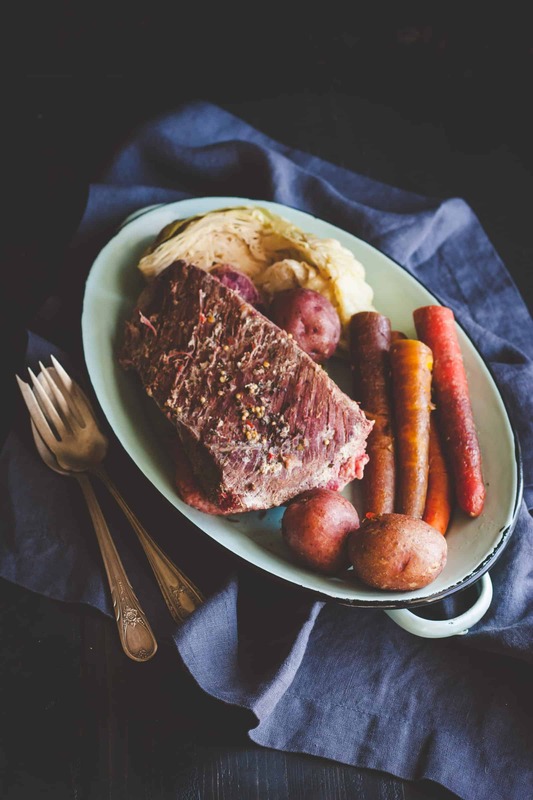 You’re never going to guess how easy it is to make a delicious corned beef and cabbage meal. 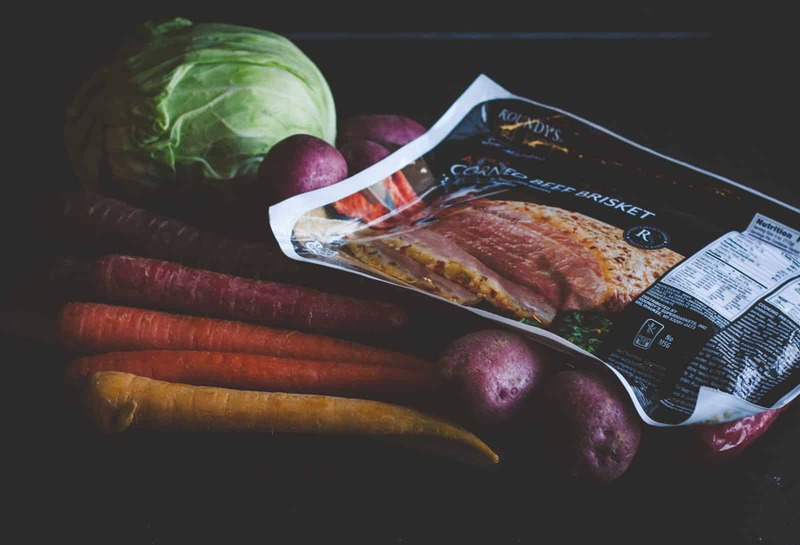 It’s as easy as adding 5 ingredients to your slow cooker and a few hours later you’ll have delicious corned beef and cabbage with carrots and potatoes, the perfect meal for St. Patrick’s Day! Every year St. Patrick’s day seems to sneak up on me! Can you believe it’s next week already? I happen to really love St. Patrick’s Day recipes like these Irish Cottage Hand Pies, these Chocolate Chip Oatmeal Stout Cookies and one of my faves: Bangers and Cheddar Smashed Potatoes. 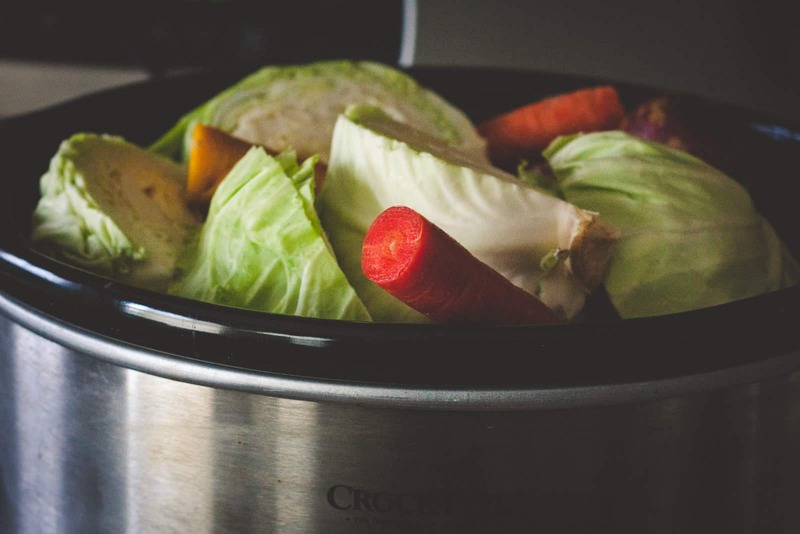 So as I was going though some old posts and thinking about St. Patrick’s Day recipes, I came across a post I had done a few years ago on slow cooker/crock pot corned beef and cabbage. As I was looking at it, I realized it was a 5 ingredient recipe, woop woop, perfect for 5 Ingredient Fridays, so I gave it a little face lift and am sharing this awesome recipe with you again today. Of course, in the St. Patrick’s Day spirit I had to make this dish with rainbow carrots…get it…rainbows, luck of the Irish, leprechauns? Lol, I know, I will dial my dorkiness back a notch. I’ve always been super impressed by my mother-in-law who makes corned beef and cabbage every year for St. Patrick’s Day. 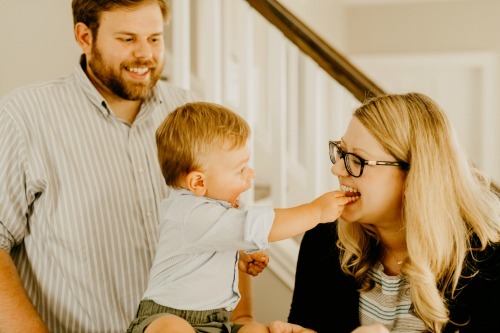 I asked her what her secret is, and she laughed and told me it was probably one of the simplest dishes she has ever made, and that all that was required was a slow cooker/crock pot and the ingredients, then just set it and forget it. It was so much easier than I could have ever imagined. 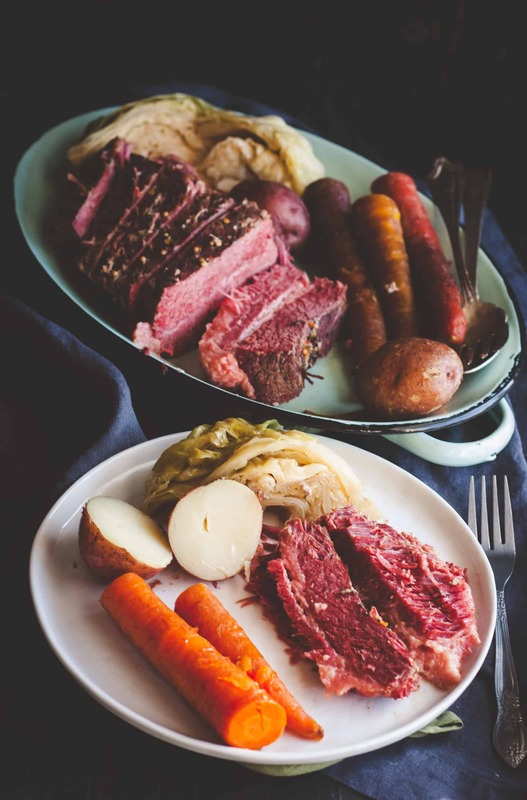 You literally put the corned beef in a crock pot with water and beef stock, let it cook at a low temperature and then add vegetables a few hours before it is done and voila: corned beef and cabbage with carrots and potatoes. 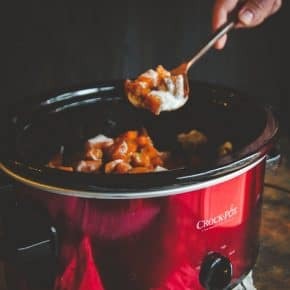 This 5 ingredient slow cooker corned beef and cabbage with carrots and potatoes recipe is a classic, super easy and delicious meal to make for your St. Patrick’s Day dinner! Remove brisket from brine liquid it is packaged in, and remove the seasoning packet that it comes with. 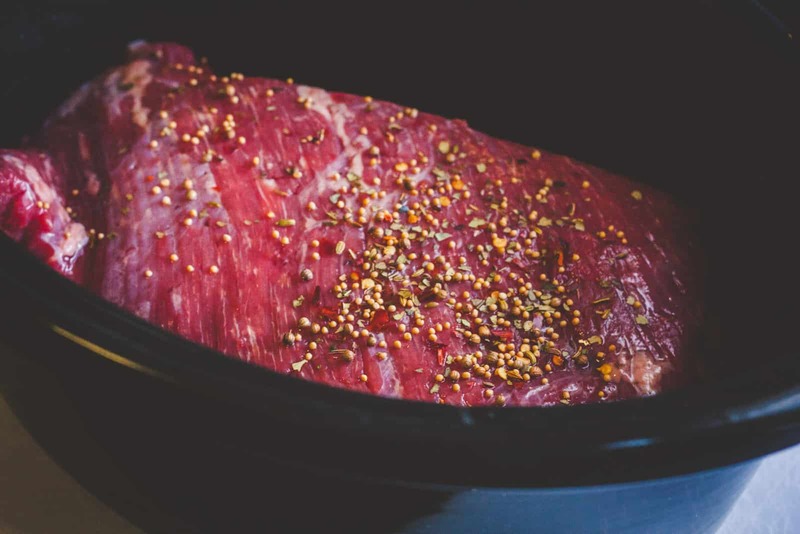 Place brisket, fat side down in a slow cooker, sprinkle the seasoning packet over the brisket. Pour beef broth and water into the slow cooker and sprinkle in the salt. Set on low and cook for 5 hours. After 5 hours remove lid and add in potatoes, carrots, and cabbage wedges and cook on low for another 2-3 hours. Take a fork and poke into the meat, it should fall apart. Take brisket out of the slow cooker and place on a board and slice it into slices, then serve a slice or two of the brisket with a red potato, 1 carrot and a wedge of cabbage. Oh yum, I’ve never thought to make sandwiches with the leftover, I’m totally going to have to try that! Oh my Irish husband would love it if I made this. His mom used to make it for him all the time! My grandparents are Irish Catholic out of Boston, every year, they’d have a big St Pattys Day party and invite their 12 children and their families. Lots of corned beef and cabbage! I’ve never made it myself but your recipe makes me believe I might be able to pull it off? Maybe! Looks delicious ? 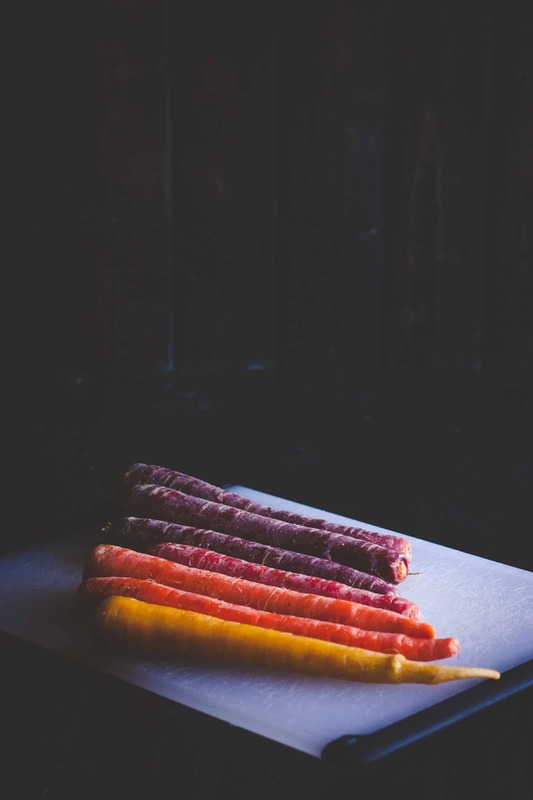 Love the idea of rainbow carrots! Ideas exploding like fireworks for decorations Lucky Charms etc-fun! !making the corned beef &cabbage with raibow carrots-can’t wait!thanks for the great recipes ?? Thank you so much Vivian, so glad you like the usage of rainbow carrots – it just makes it that much more festive for St. Patrick’s day! This looks excellent! We both love corned beef ourselves, but we only find it in cans here in Greece. 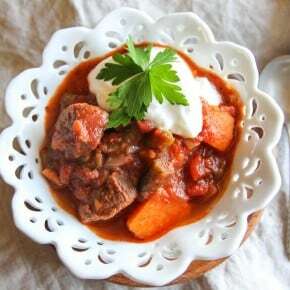 So we’ll have to improvise a bit to make this:) It sure is an amazing recipe though: easy to make and delicious! Hope you guys have a great day on St. Patrick’s! Corned beef is super delicious isn’t is? I’ve never known it to come in a can, I love learning all these differences of how food is available in Greece. I absolutely LOVE me some homemade corned beef and I could eat it a LOT more often than just on St. Patty’s day, but who has time, right?! 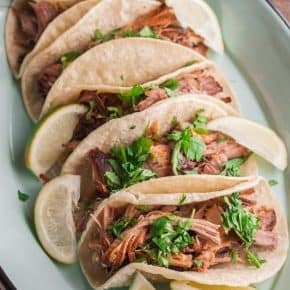 So I loooove that yours is SUPER easy and made in the slow cooker! Plus I adore that you used rainbow carrots! This looks perfect, Phi! Cheers, girlfriend!